Most water heater we use at our homes last from 5 to 15 years. If you use them wisely, some of them can go as long as 20 years, but this is the top limit. This means at least once or twice in your life, you’ll have to look for a new water heater. If the time for this action has come, it’s good to know what technology offers today. Things have changed a little 10-20 years ago. 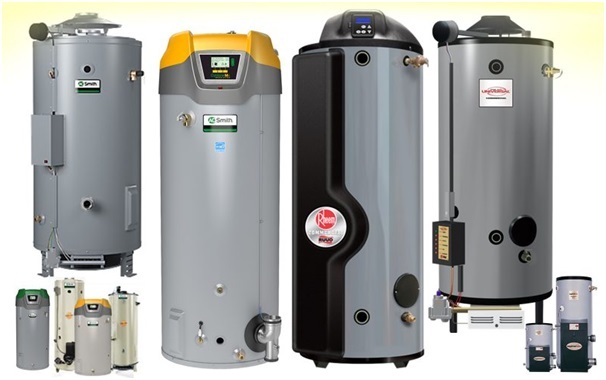 In this article, we’re going to talk a little about the types of water heaters and their pros and cons. Let’s begin. Read on and see what’s best for you! Tankless water heaters are installed directly on the pipes supplying your home. Tankless heaters came on the market after the classic heaters and people are still not aware completely about their pros and cons. The main pro of the tankless heater is that you have hot water for your needs at all times. Unlike classic ones that you need to wait for the water to become hot. Another very important positive side is that they turn on and spend electricity only when you turn on the faucet, so the electricity bill will be lower. Another also important feature is the size and installation. Tankless heaters take less space and are installed directly on the main pipe, so you don’t even notice you have a heater at home. When it comes to the cons, there aren’t many, but you need to know that tankless water heaters are more expensive than the classic ones. Some models might cost you even 10 times more than a regular classic tank heater. Another con is also connected with spending on electricity and spending money. It’s a popular belief that when you install a tankless heater, the bill will be lower. However, this is not really true because people think they can use it all the time. The tankless heater draws a lot of power to heat the water so fast. Then there’s the installation process. You need professionals for this one. If you buy a tankless heater make sure you look for the best water heater Houston plumbing company to install this appliance. Classic tank water heaters are still the most popular appliances when it comes to heating water in the home. They do have some pros, but they also have some negative sides. The classic tank water heater is the most affordable appliance for heating large amounts of water. Their installation is fairly simple and you don’t even need a special professional to do it. Of course, it’s always better to call a plumber and relax, but if you want to, you can really install it by yourself. Another good thing is that tank heaters are easily operational and cause no worries when you live in the house. Just turn it off and enjoy. If you go on a vacation, you don’t have to worry if there’s an accident concerning the heater. The main bad side of the classic heater is that you have to wait for reheating the water after it was previously used. If you are a family of four, you can’t all have a shower unless you buy a tank big enough for all of you. You’ll have to wait for your turn and wait for the water to reheat. Buying a huge tank, however, is a problem of its own. If you live in a smaller apartment you’ll have to place the tank somewhere. A tank big enough for showering water for 4 people is so big that you’ll need an entire room just for the heater. See how big heater you need here. Electric heaters are more affordable and have a wider variety of options concerning the size and the place where they can be placed. Gas heaters are less affordable but have more efficient work. They heat the water faster but at the same time require special conditions. You need a room that has air circulation and you can’t store flammable materials around it.